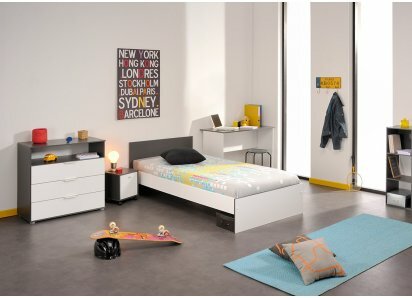 The Fabric Collection is a great choice for a teenager who has developed a personal sense of style, who is ready for a bedroom that expresses a personality through art, music, fads and favorites! 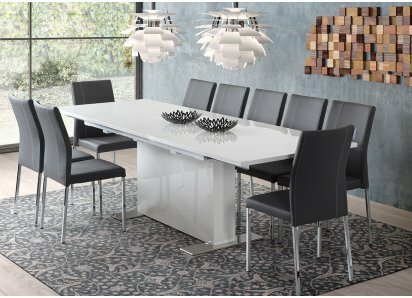 The color palette is a combination of Loft gray and dark gray veneers, with a band of white stenciled lettering that adds a trendy industrial look! 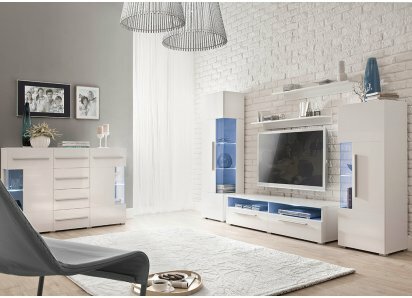 The neutral color and style will coordinate with a multitude of themes, from your child’s favorite bands, artists, superheroes, and hobbies! 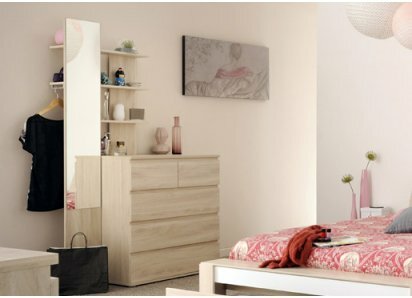 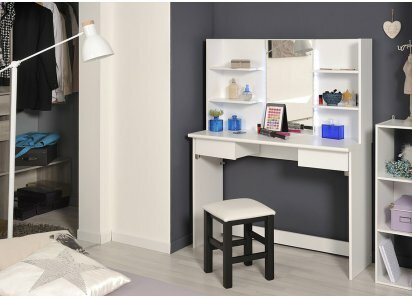 Thoughtful use of organized storage options offer space-saving ways to store everything in your teen’s room, from toys to books, collectibles to craft supplies, along with clothing, of course! 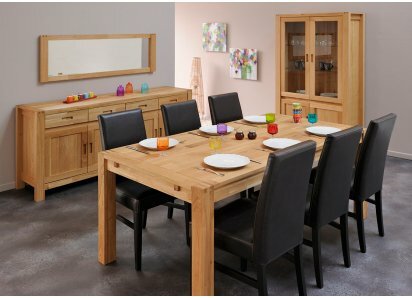 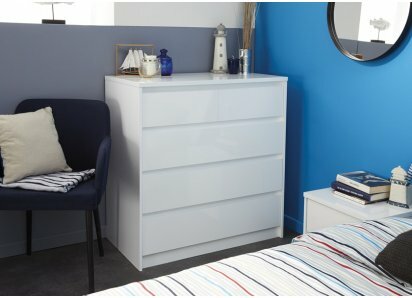 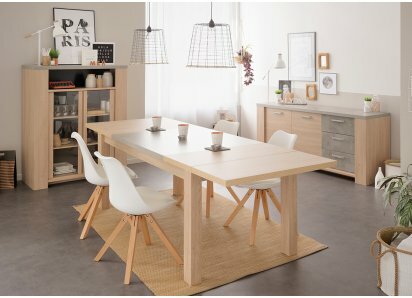 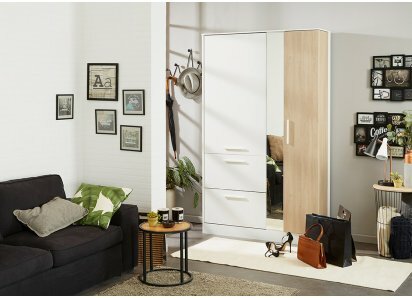 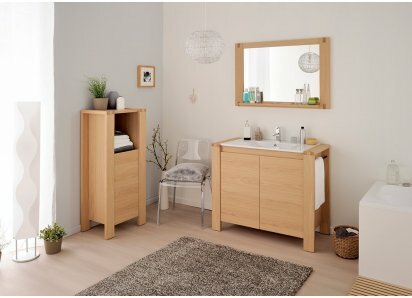 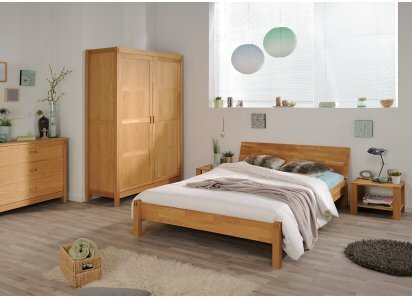 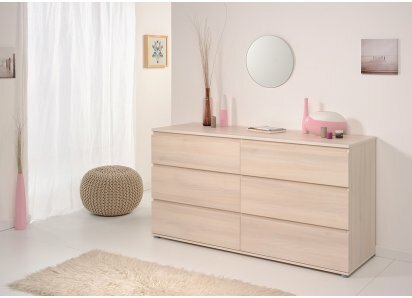 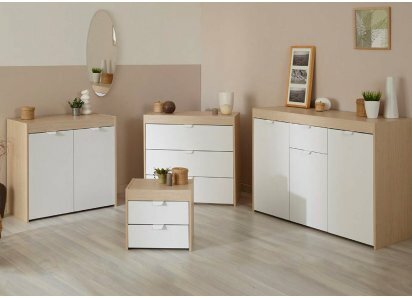 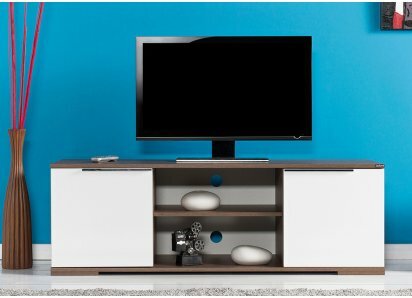 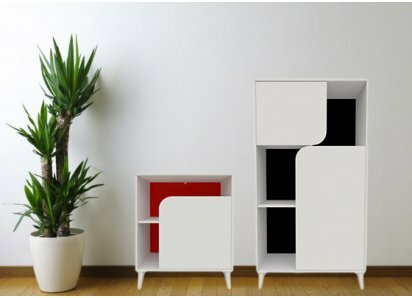 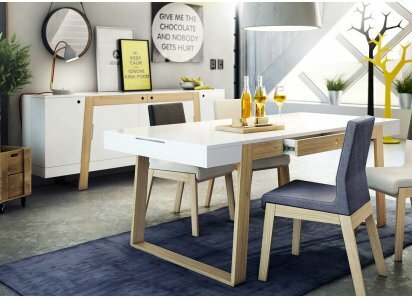 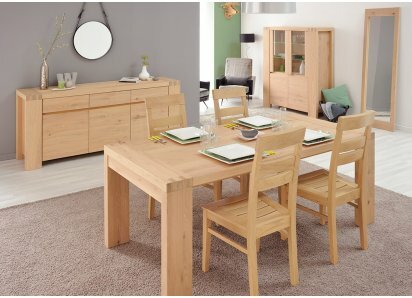 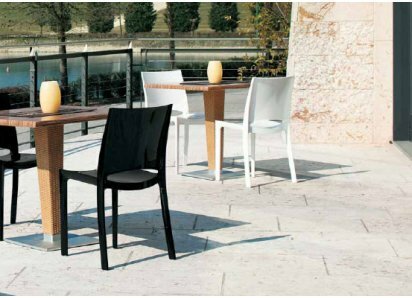 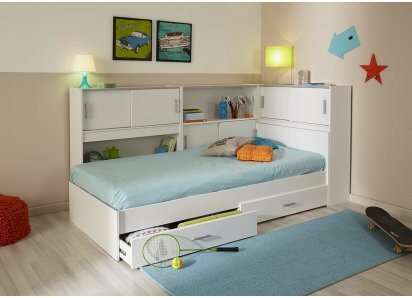 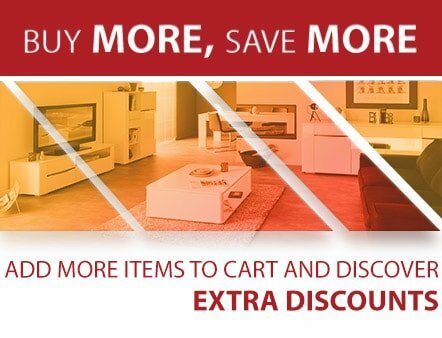 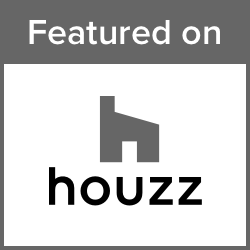 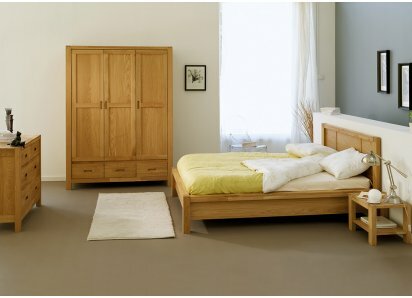 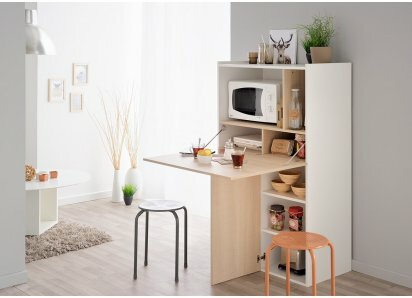 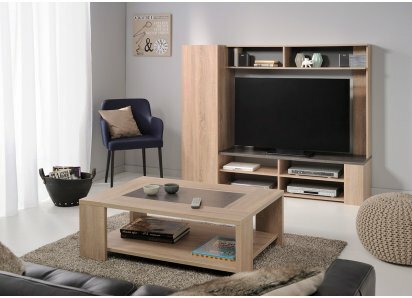 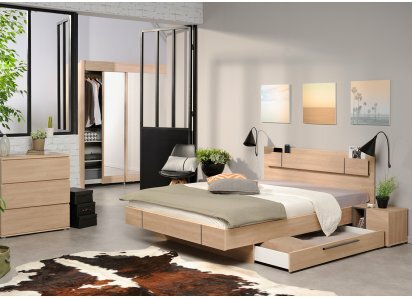 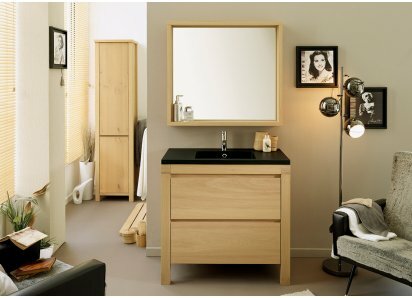 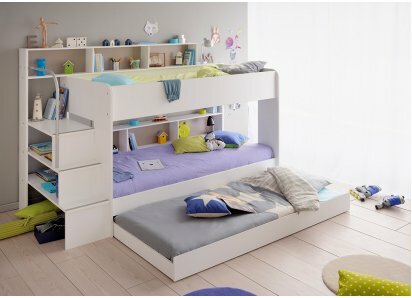 Each piece of the collection is made from premium eco-friendly MDF boards, and joined with heavy-duty steel hardware, providing stability and durability, along with character for creating your child’s own space! 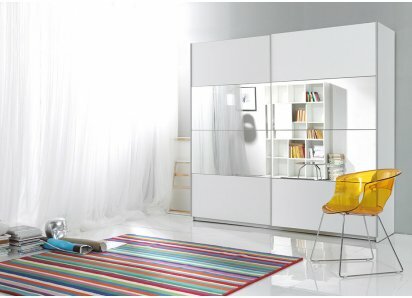 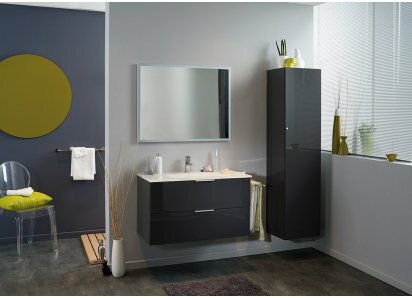 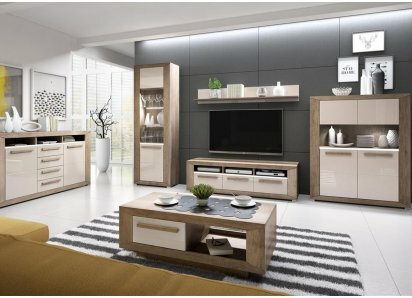 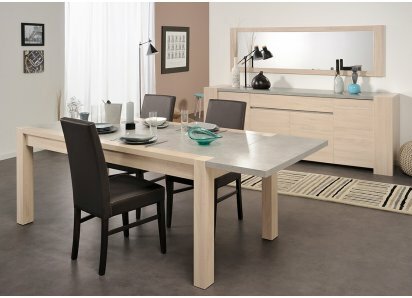 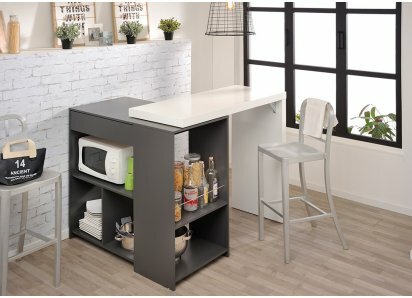 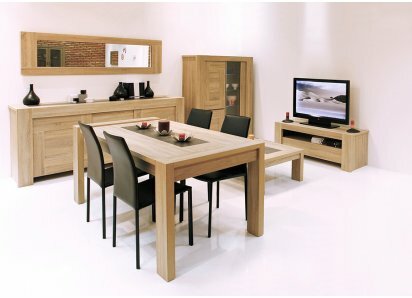 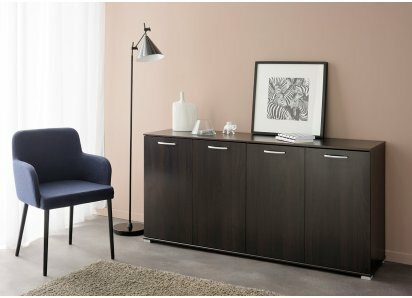 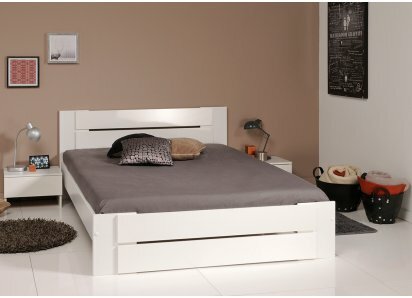 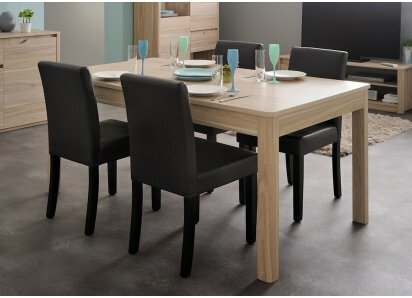 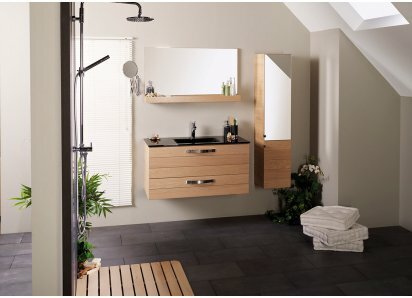 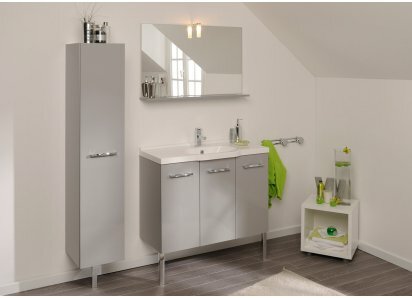 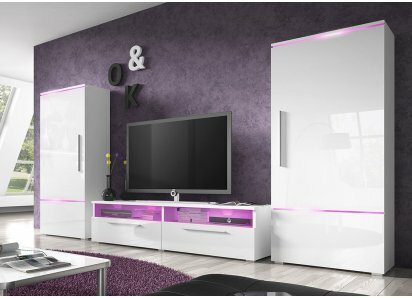 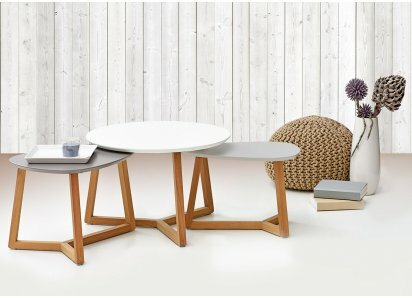 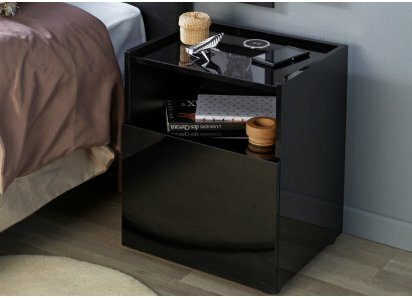 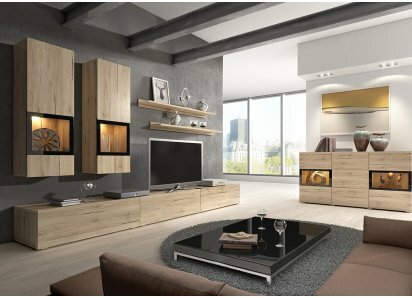 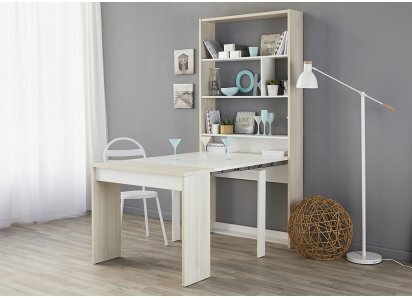 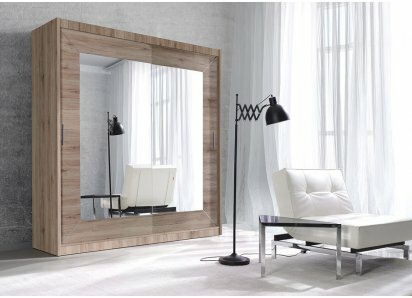 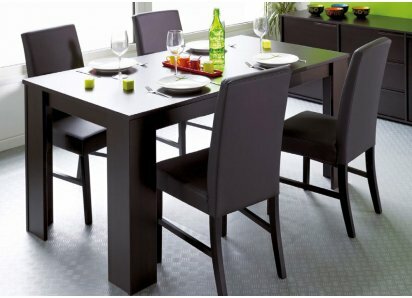 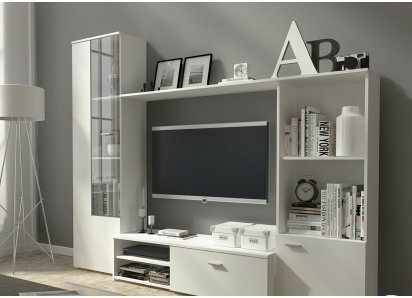 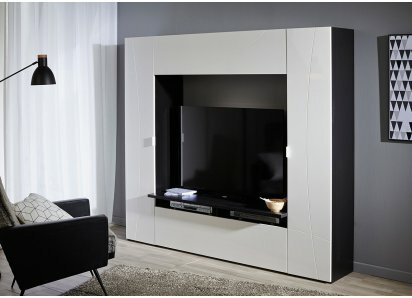 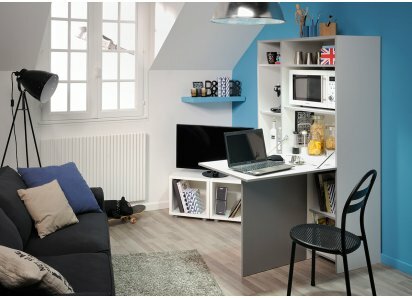 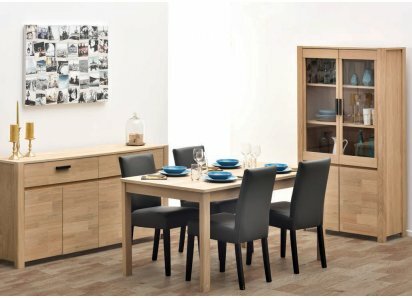 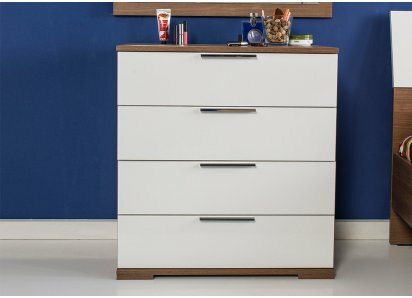 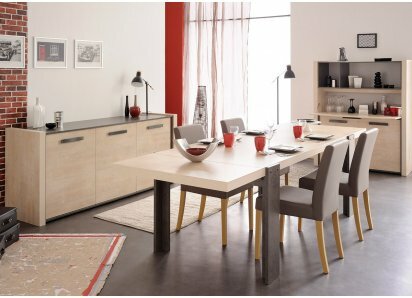 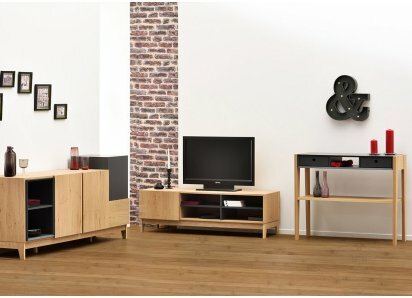 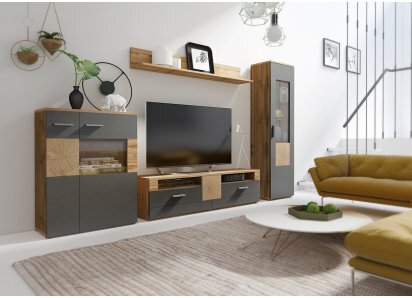 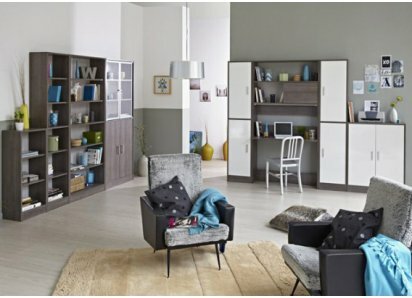 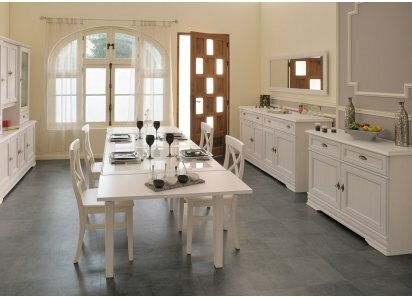 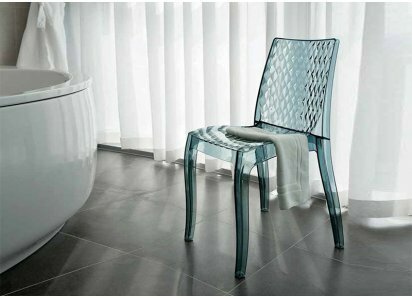 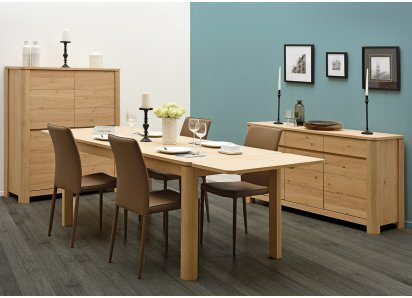 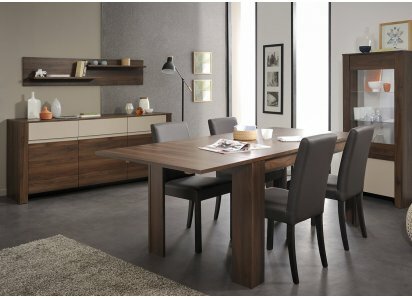 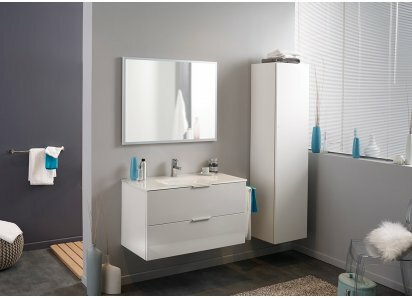 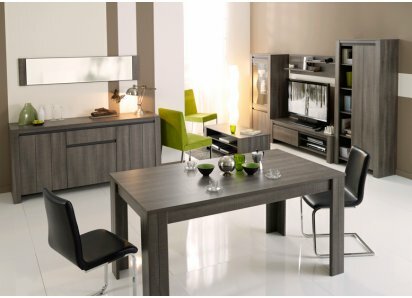 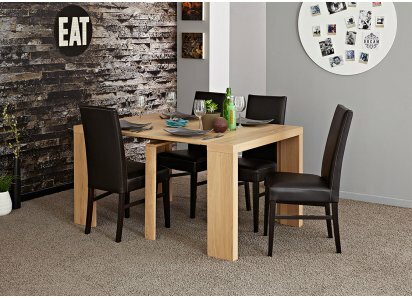 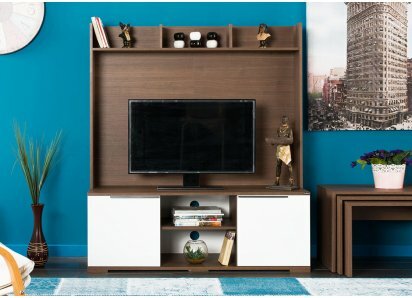 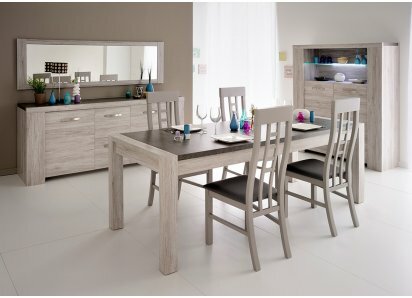 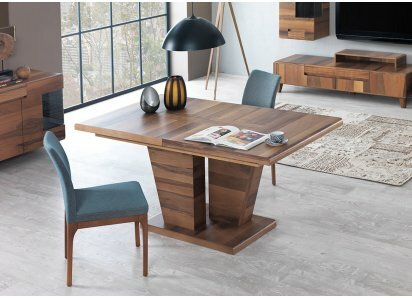 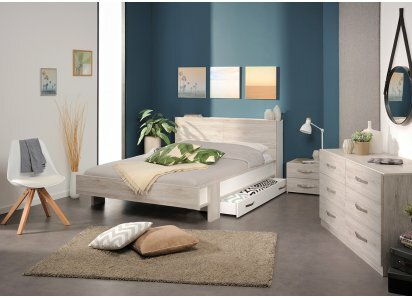 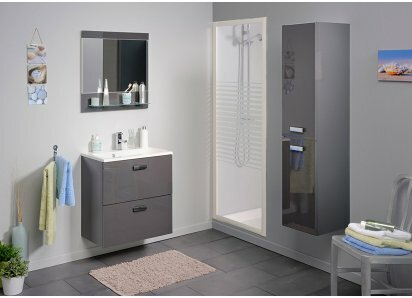 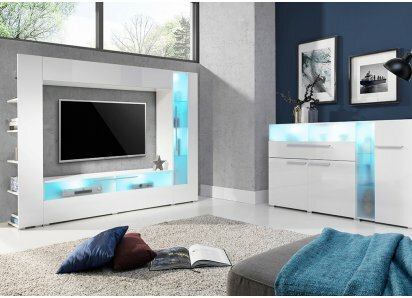 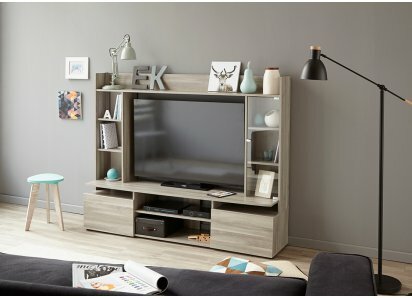 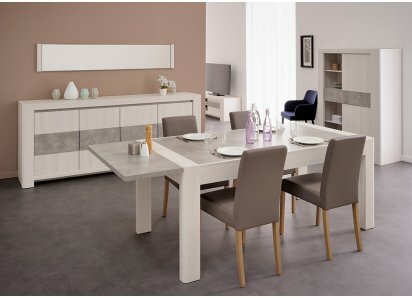 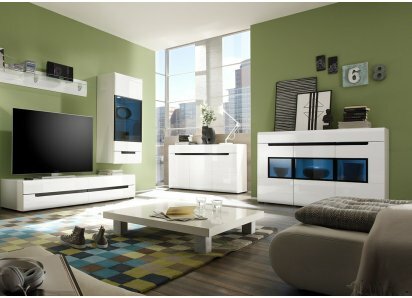 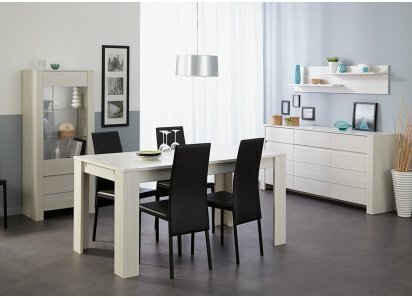 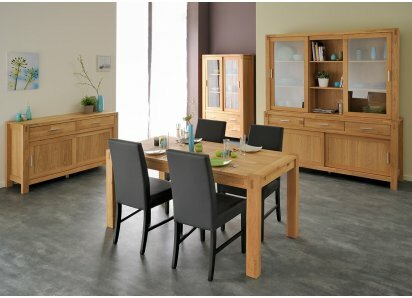 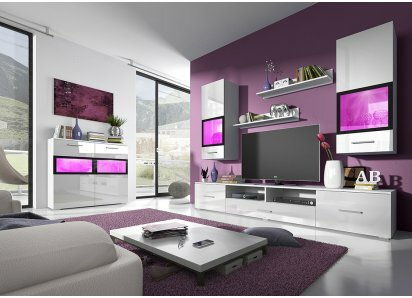 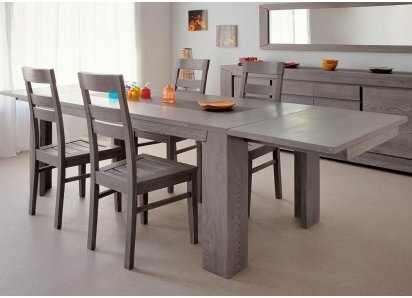 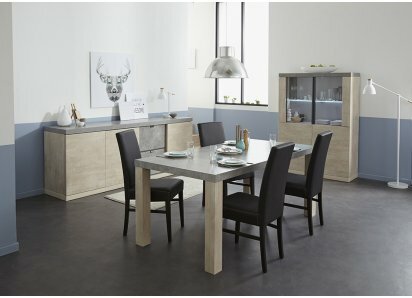 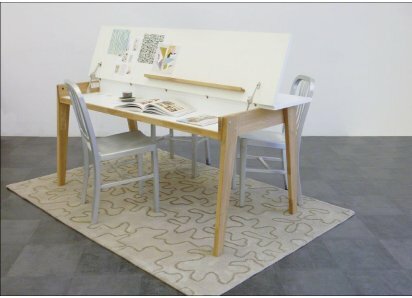 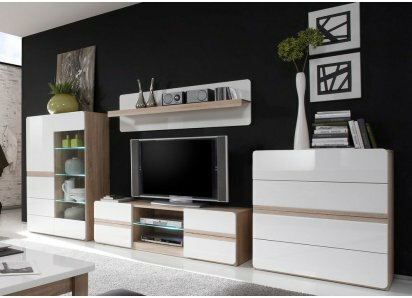 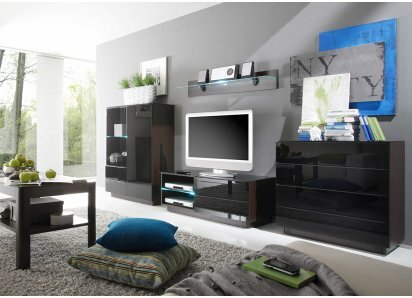 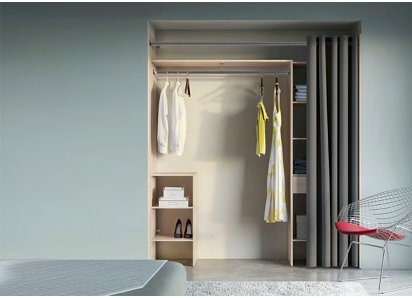 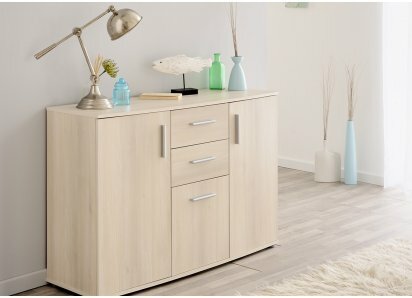 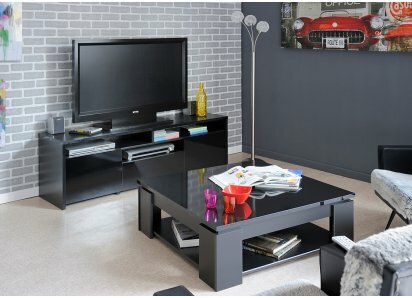 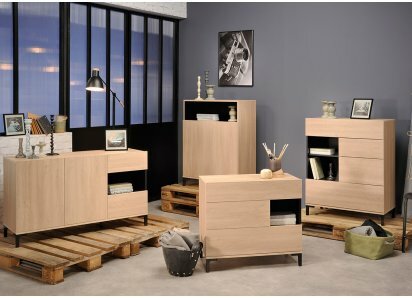 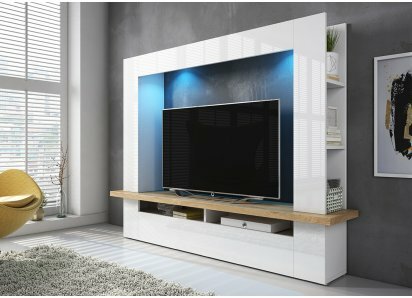 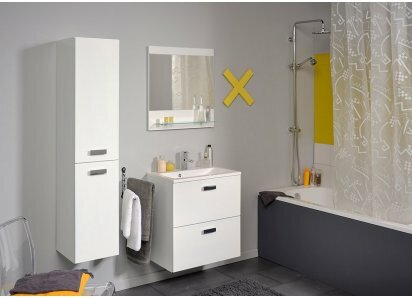 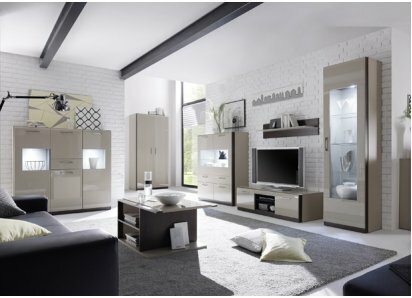 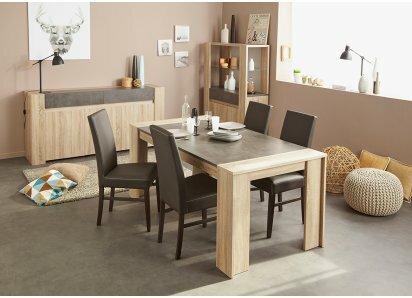 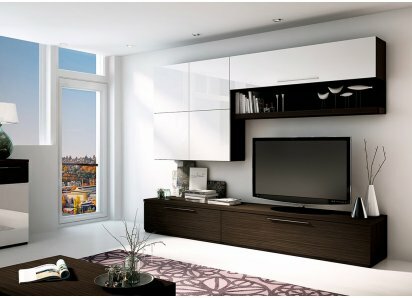 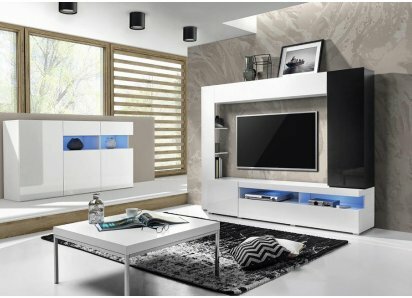 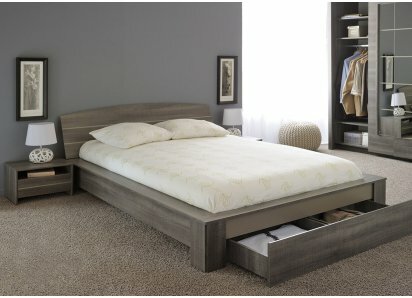 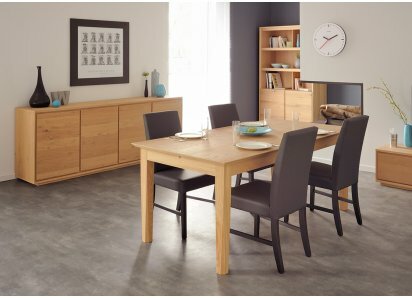 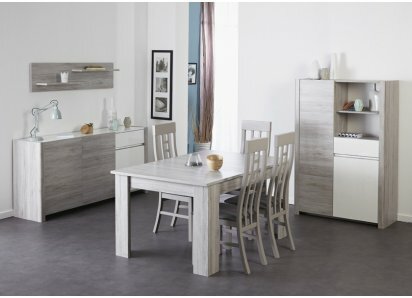 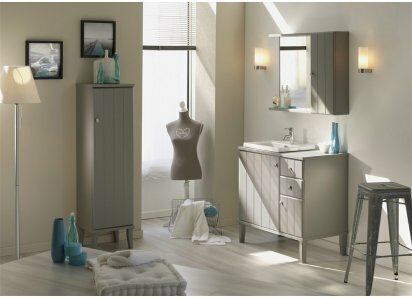 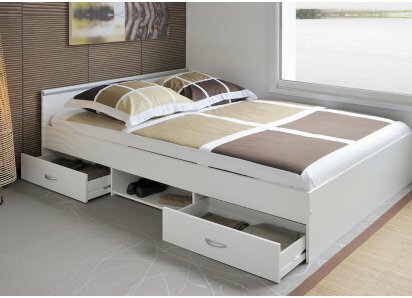 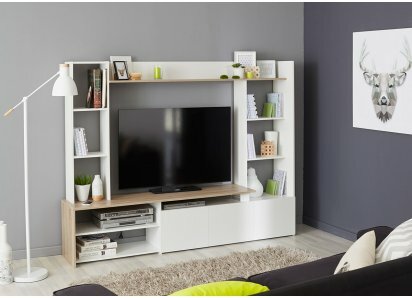 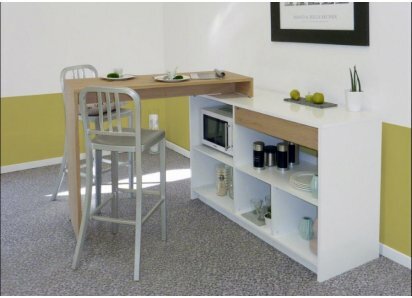 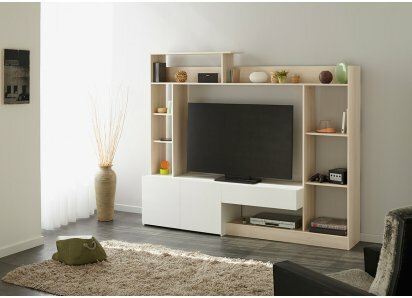 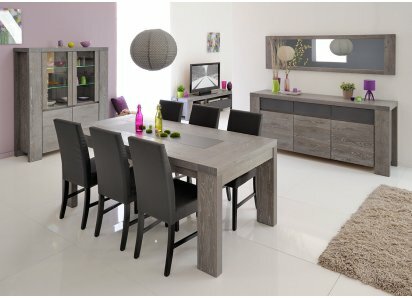 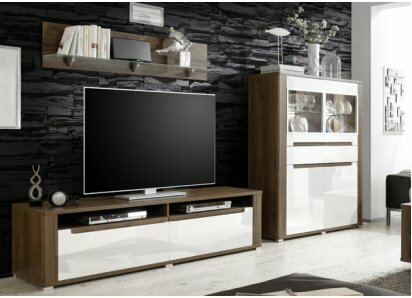 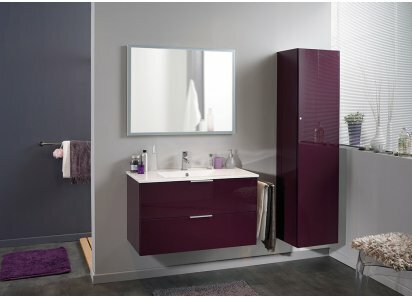 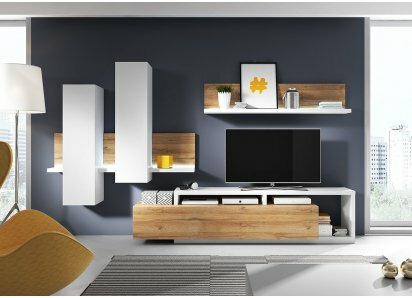 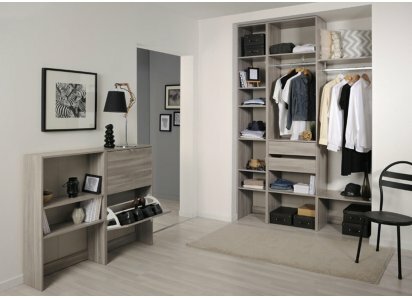 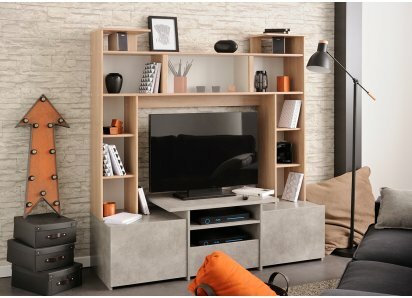 TRENDY STYLE: The modern asymmetrical lines, two-tone gray color, and stenciled graphic accent create an industrial style that teens will love!TWO-TONE COLOR: Loft gray woodgrain with contrasting dark gray solid creates a neutral background for your teen’s favorite colors, trends and hobbies!.. 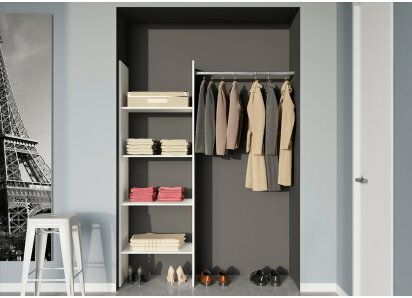 INDUSTRIAL STYLE: From the two-tone gray color with white stenciled lettering to the industrial handles, this wardrobe adds a trendy style that teens will love!ASYMMETRICAL DESIGN: Wardrobe doors are offset, one with a shelf above, the other with a shelf below, adding a unique look that bring..
ADD EVEN MORE STORAGE SPACE: Two underbed drawers fit neatly into the sides of the Fabric bed, providing space for bed linens, shoes, toys and games, and more!STURDY CONSTRUCTION: Built from premium MDF boards, and put together with heavy-duty steel hardware, your drawers will stay sturdy wit..
INDUSTRIAL STYLE: The neutral gray color palette, combined with stenciled lettering and industrial metal drawer pulls, creates a trendy industrial look that teens will love!TWO-TONE COLOR: Loft gray woodgrain combines with Dark gray solid and white lettering, creating a palette that blends wi..
INDUSTRIAL STYLE: The two-tone gray color, industrial metal handles, and band of stenciled lettering create a cool, industrial style that teens love!TWO-TONE COLOR: Loft gray woodgrain is contrasted by a dark gray solid band with white stenciled lettering, providing a neutral background that ..
INDUSTRIAL STYLE: The gray color palette, stenciled lettering, and metal cabinet handle add a cool, industrial theme that today’s teens love!TWO-TONE COLOR: Loft gray woodgrain, with contrasting dark gray solid, create a neutral palette that coordinates with almost any color scheme and your t..